Baby Greens with Cashew Cream Sauce - Vegans Eat What? Vegans Eat What? This vegan version of creamed greens is comforting, healthy and so very good! Try the greens as a side or over toasted whole grain bread for breakfast. Delish! Combine the plant milk, cashews, nutritional yeast, granulated onion, and miso in a blender and puree until smooth and silky. Heat the oil in a large, non-reactive skillet over medium-high heat. Add the shallot and garlic and cook until they just turn golden. Add the cashew cream mixture to the skillet and bring to a simmer. Stir in the greens, folding them into the sauce until they begin to wilt. Continue to simmer, stirring often, until the greens are tender, for about 5 minutes. If the sauce is too thick, thin it with a little bit of water. 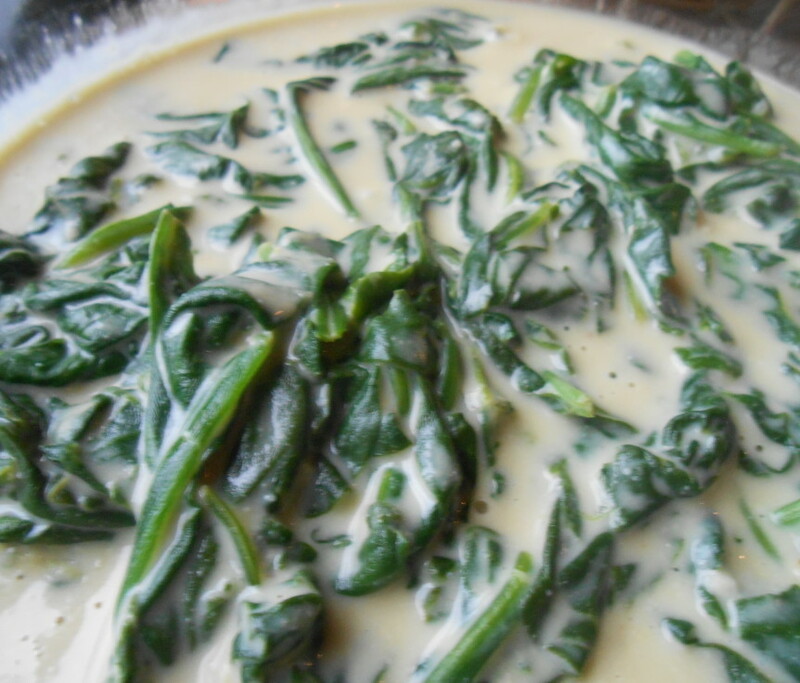 One of my favorite dishes growing up was creamed spinach. I haven’t had the dairy version in years, but this is a perfect re-creation, with a combination of baby kale, chard, and spinach, bathed in a creamy cashew sauce. I adapted the original recipe from Whole Foods Market. Feel free to substitute chopped kale for the baby greens blend.